There are hundreds of polar bear sculptures out there. In this marble carving of a polar, my client and I wanted something noble and strong so we settled on an upright, two-legged pose. 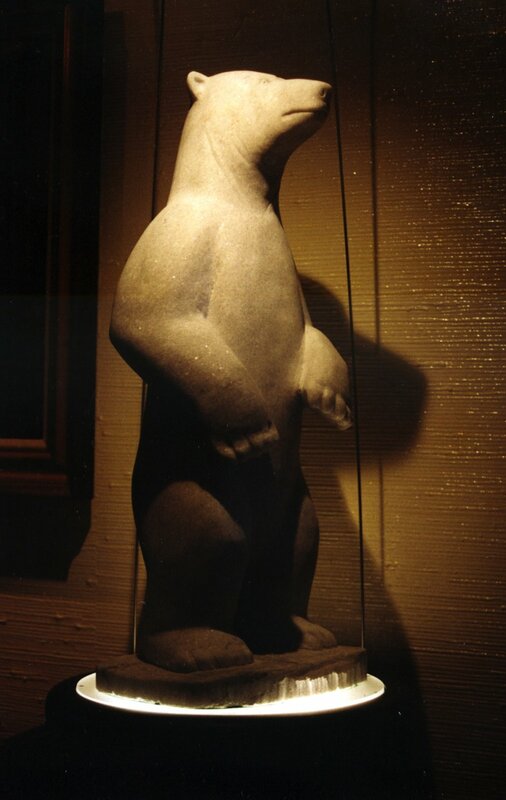 The bear's attentive sense of inquisitiveness and his power are the attributes I focused on in this carving. Serendipitously, the scattered crystals in the marble glisten like snowflakes on the bear's body. Pihoqahiaq is an Eskimo name for the bear—try saying that one . . .or using it in Scrabble!